Apple pickers need to be fit. 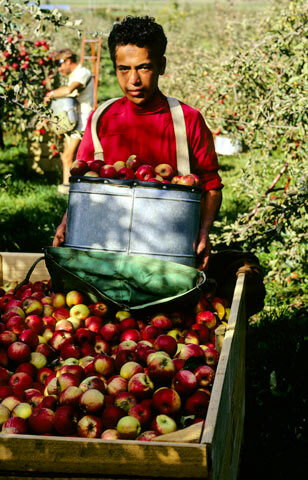 They place the fruit in a large bag strapped to their shoulders, later emptying the bags into big wooden bins. They may need to climb ladders to reach the topmost apples on tall trees.